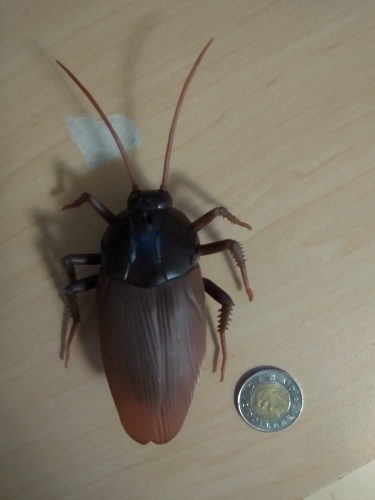 Want to prank a friend who's afraid of cockroaches? 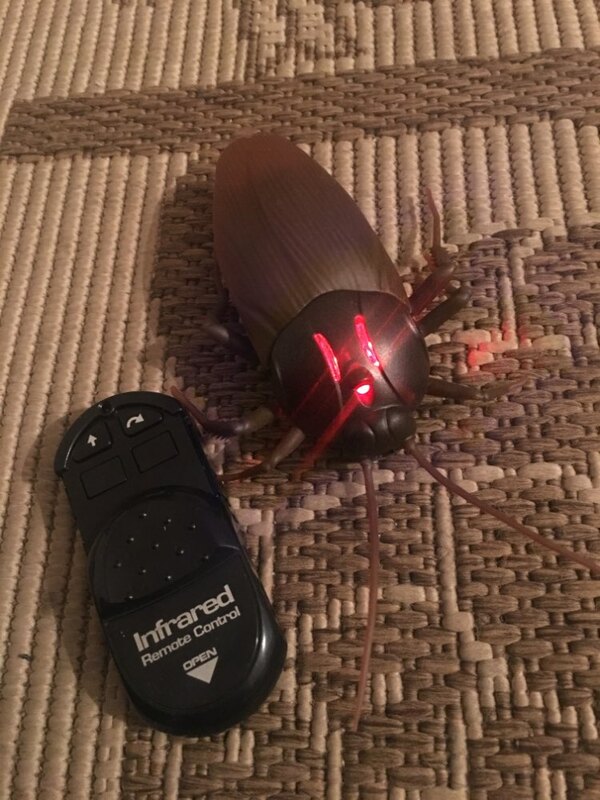 This will be the best gift for your friend--who would expect a remote-controlled cockroach? 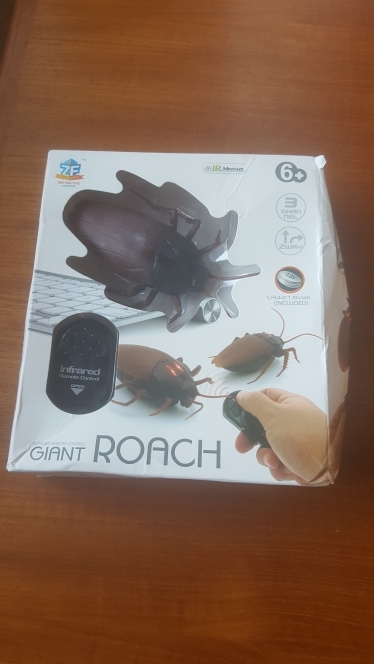 What a cool concept this is, a remote control Cockroach! 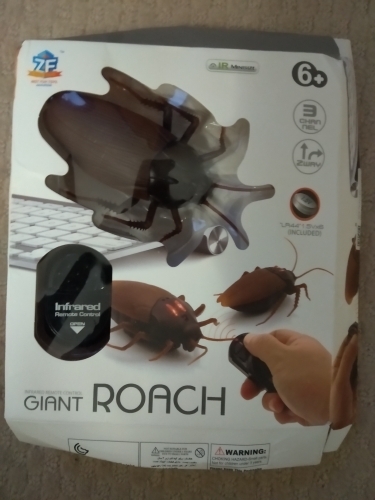 Imagine all the fun you can have teasing your cat or scare your spouse. 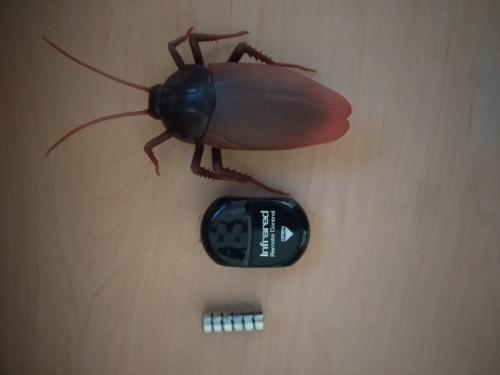 This is a realistic looking Cockroach with a two channel control. 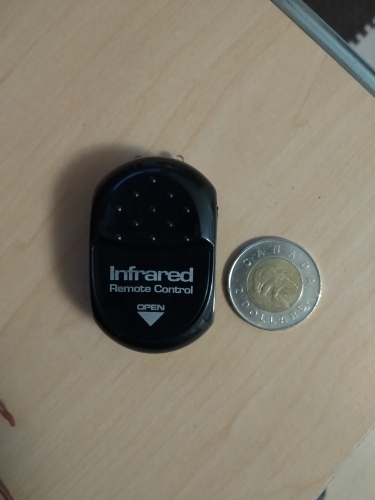 Get yours today and have a load of fun teasing whoever is around. 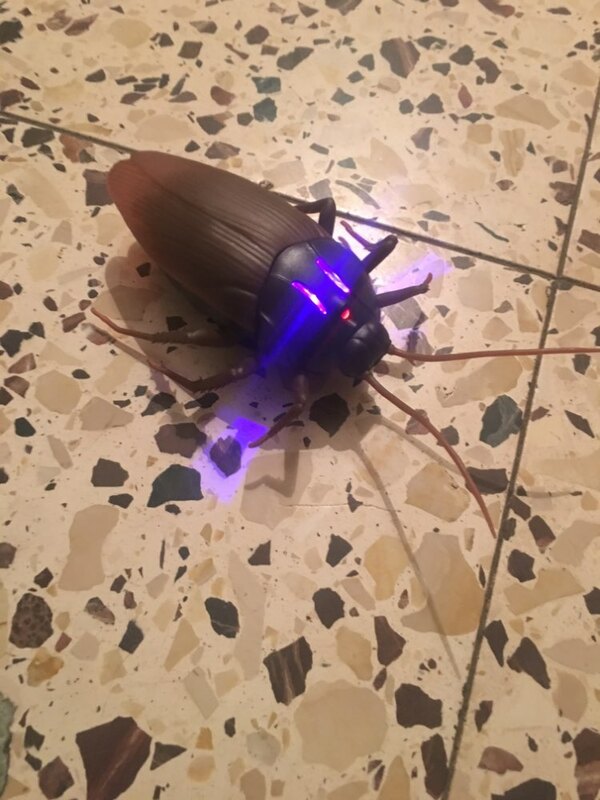 Function: Simulation of remote control Cockroach, luminous eyes, forward and backward turn right function. 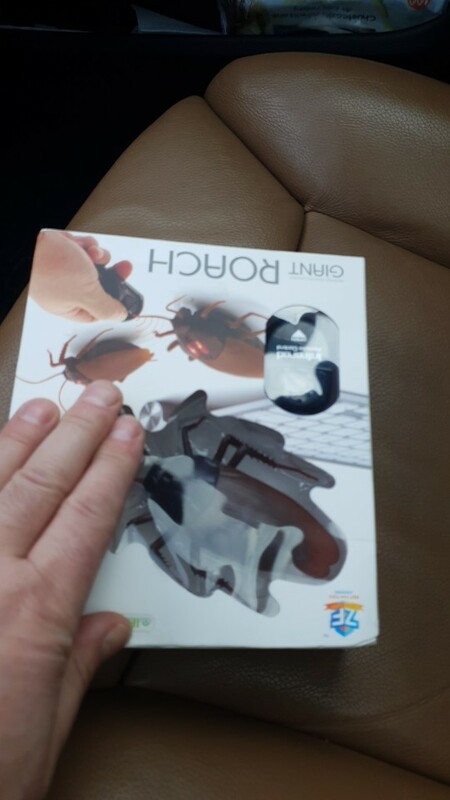 At the same time press the forward and backward keys 3 seconds into the automatic demo function, and then press the back button for 3 seconds to exit the demo. Take 24 days delivery to Denmark.